We didn't give the Toronto Raptors much of a chance in these Conference Finals. The real battle was out West, we believed, where the record-breaking Warriors and the rim-destroying tandem of Westbrook and Durant (and friends) locked horns. That was the one to skip work for, not the one featuring LeBron James and under-the-radar superstars Kyle Lowry and DeMar Derozan. Up until Game 3 of their Eastern Conference Finals tussle, the Cleveland Cavaliers seemed to have had the conference championship safely in the bag. They were 10-0 in these playoffs at that point, with the first two games against the Raptors not exactly deserving of being called thrillers. 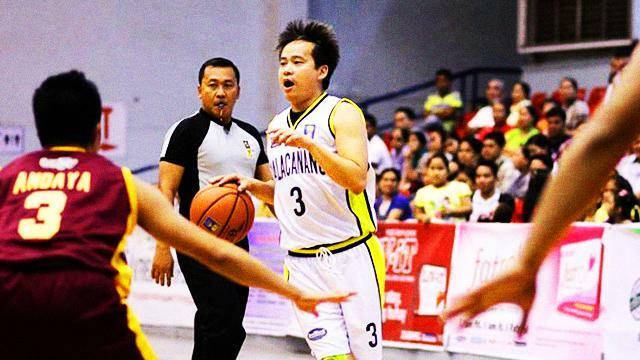 Two more wins, and they make their return trip to the Finals where they had fallen short of the trophy a year earlier. Lowry and Derozan are All-Stars but few believed they'd pose a significant challenge to LeBron's superstardom and his grizzled squad. Bismack Biyombo had other plans though. Conjuring the Spirit Of Mutombo, the herculean Raptor began swatting away shots and waving his finger. One example happened in Game 3. Kyrie Irving appeared to have found himself an easy layup when Biyombo suddenly appeared out of nowhere to chase down the shot. Cue finger wag. That had been a symbolic moment. On paper, that was one block. Figuratively, that was the Cavaliers (therein represented by the sleek, magical Irving) thinking it was going to be THAT easy when, in fact, these Raptors (therein represented by the raging, flexing African God Biyombo) believe they aren't due for extinction just yet. The Raptors' body language says it. They still believe. That should be now apparent with the series tied at 2-2. Not us but certainly Biyombo. 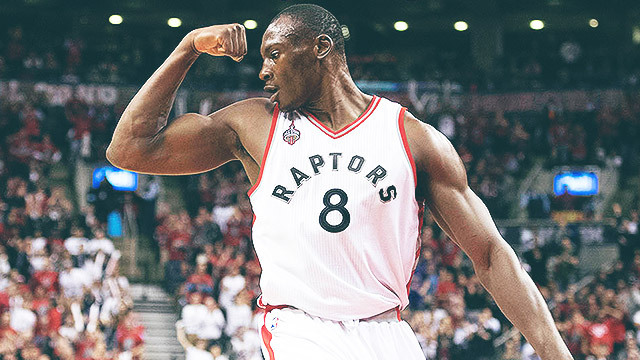 Biyombo is not afraid. He is afraid of lions, but not of humans who fashion themselves as such i.e. LeBron. We're not stringing together fancy words here, too. Biyombo literally said that no, he isn't afraid of James because he's never afraid of human beings, only lions—of which there are quite a few in his hometown Congo. To be fair, people who are about to face LeBron say that all that time because what else are you going to say when a reporter asks you that question? Can you imagine answering, "Yes, to tell you the truth, I am quite scared of the man named LeBron Raymone James. He is a basketball god." No one says that. But have you seen anyone back up his words like Bismack did in Game 4 earlier where he and LeBron had a clash of Jurassic proportions? It was called a foul. We'd call it defiant. Nine times out of 10, we'd pick LeBron James to win the dunker vs. shot-blocker scenario. In this case, well, he still technically won, but Biyombo had relayed an important message ("It ain't going to be easy, fools! ")—a message that had been backed up by star guards Derozan and Lowry and their big scoring numbers. We—and all the other sports writers out there—have gotten the memo, too, our dear Toronto Raptors. You aren't an also-ran. You are a contender. And you have earned our respect by completely disregarding whatever it is we wrote before the series began. May the next few games be as competitive.